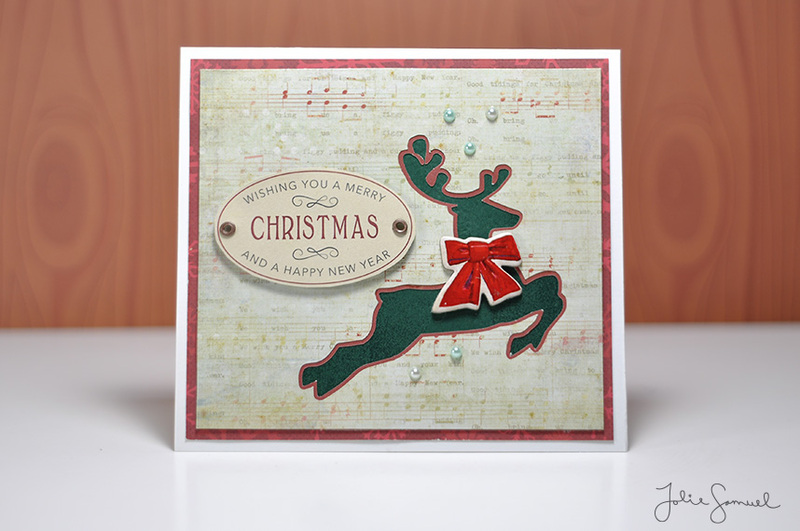 Welcome to day 3 of my Holiday Card Series 2014! This card is created in a similar fashion to yesterday’s tree card. This time instead of a tree design I simply created a reindeer cut-out shape. Next, I added a red offset to each of the cuts. Same concept as yesterday but a completely different look! Hope you’re enjoying the series and I’ll see you next time for Day 4!